Please click on the links below to open current curriculum plans for 2018/2019 and home learning tasks. A PDF version of the 2018 KS1 Parent Meeting with information on home reading, curriculum and handwriting development. Year 4 Home Learning will be set on Purple Mash set under the ‘2 Do’ tab. 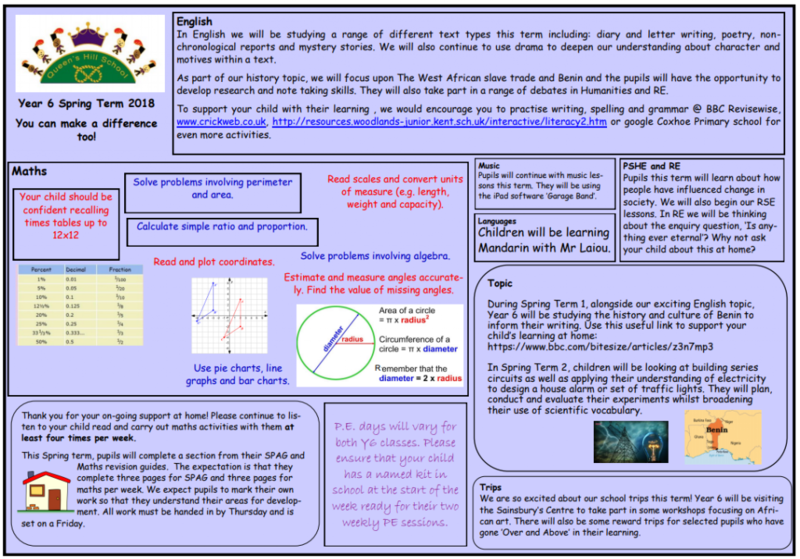 Below you will find details of the Maths home help sheets for each year group. accept responsibility for their behaviour, show initiative, and to understand how they can contribute positively to the lives of those living and working in the locality of the school and to society more widely. acquire a broad general knowledge of how to conduct themselves and show respect in various public places e.g. how to behave in church. distinguish right from wrong and to respect the law of England. be tolerant of differences between various cultural traditions by enabling students to acquire an appreciation of and respect for their own and other cultures. appreciate that other people may have different views from your own and have some understanding of a democratic process. We would appreciate parents and carers supporting us in upholding these important Community Values by reinforcing these at home.